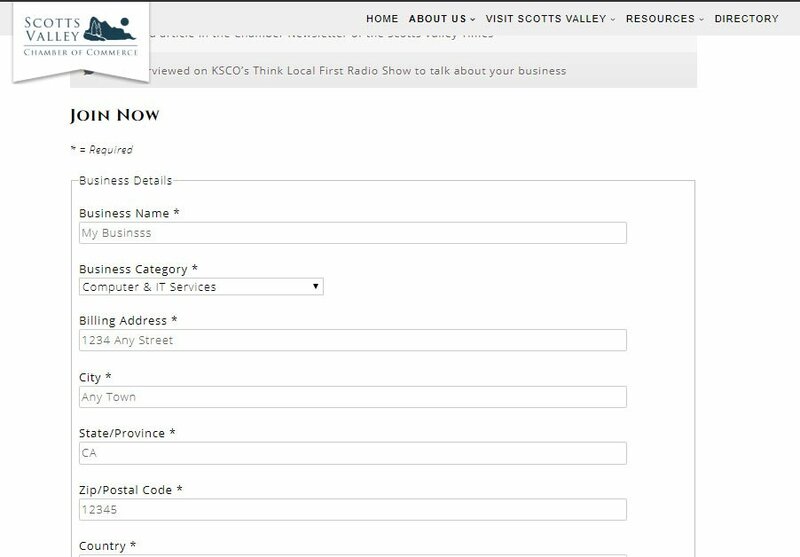 May wish to help promote Scotts Valley. They are listed in the roster by their given name. 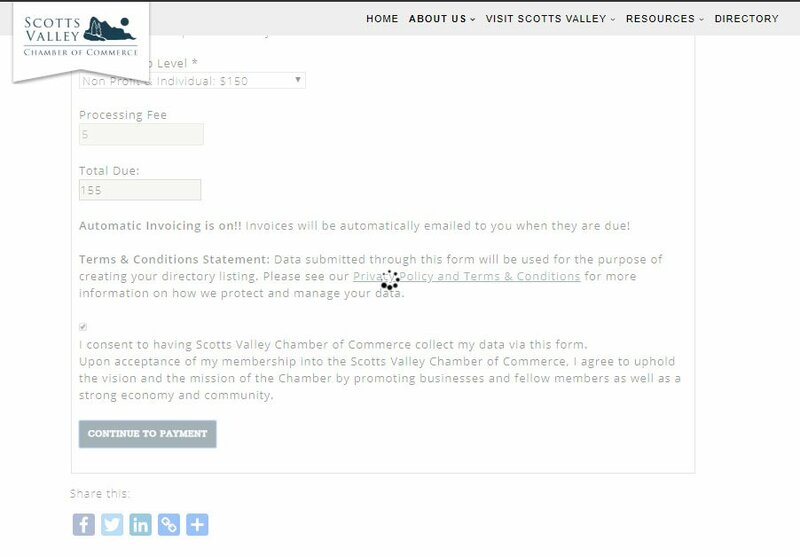 I consent to having Scotts Valley Chamber of Commerce collect my data via this form. 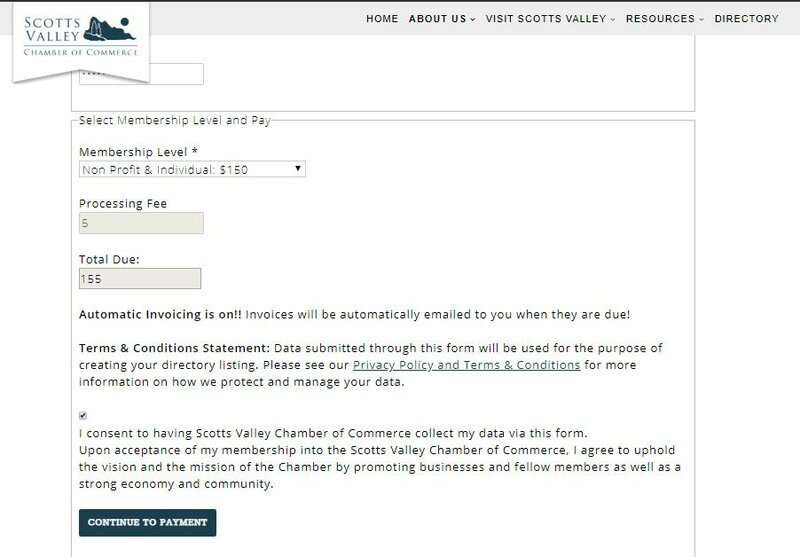 Upon acceptance of my membership into the Scotts Valley Chamber of Commerce, I agree to uphold the vision and the mission of the Chamber by promoting businesses and fellow members as well as a strong economy and community. 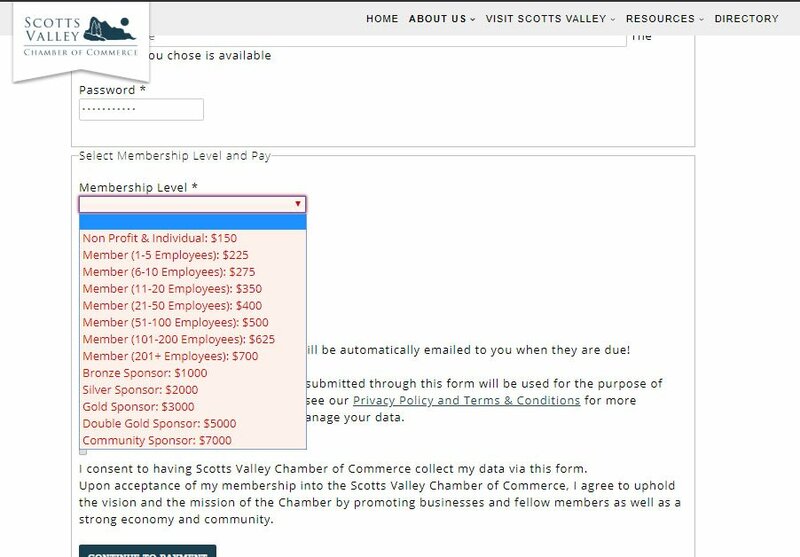 Enter your business info, billing info, account info, and choose your membership level. 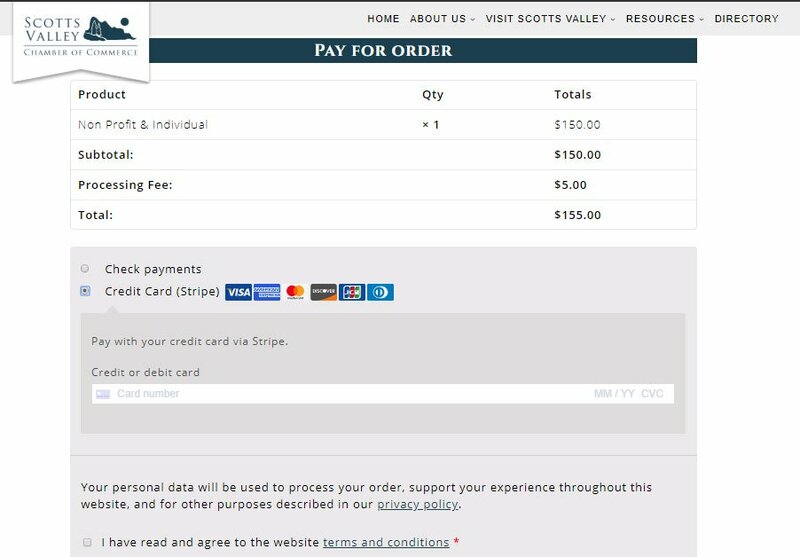 Click the “Continue to Payment” button when you are done. 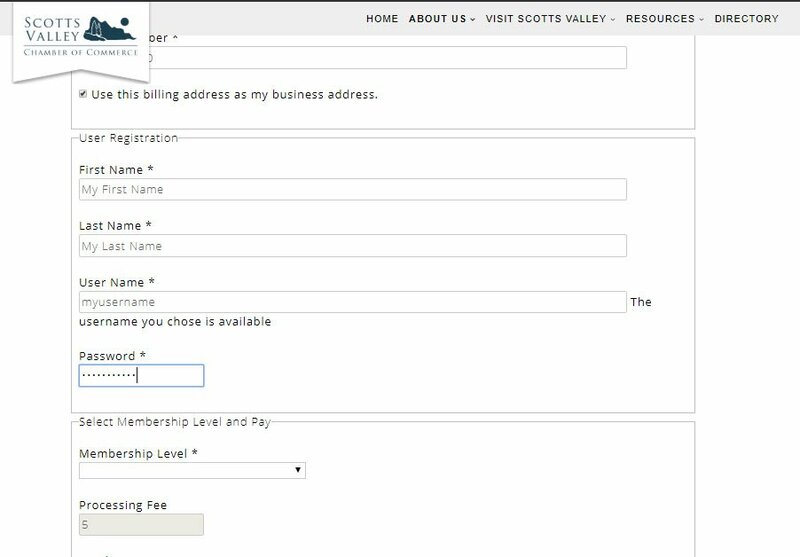 Once you submit the registration form, you will be redirected to the login page. Log in with the username and password you just created. A payment link and other useful info will be emailed to you when you submit the form. 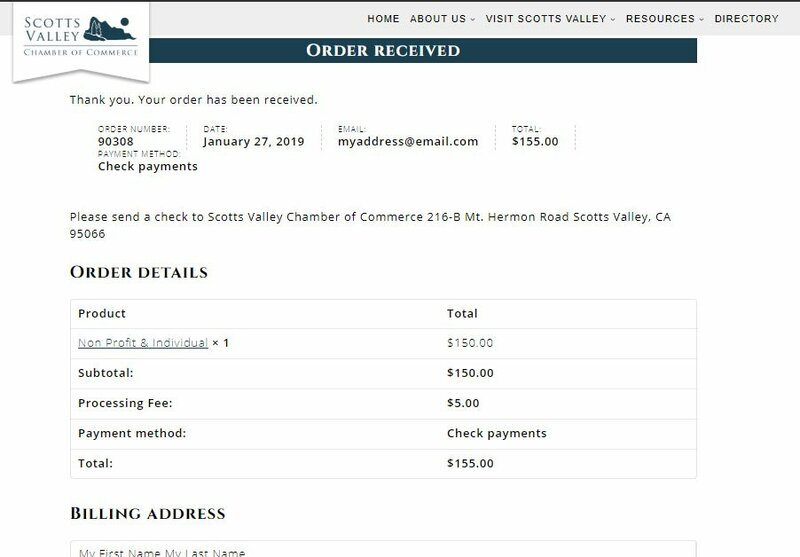 Visit the My Account page any time to view your orders and manage your account. 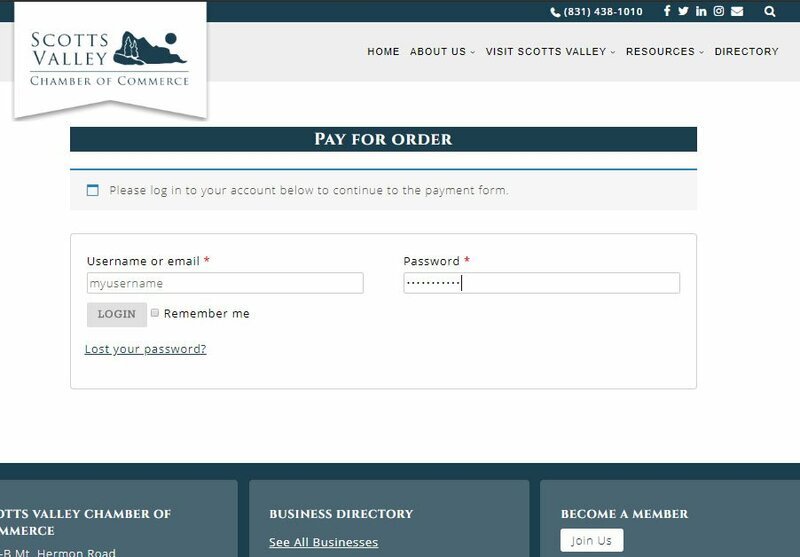 Choose your payment method to complete your registration. 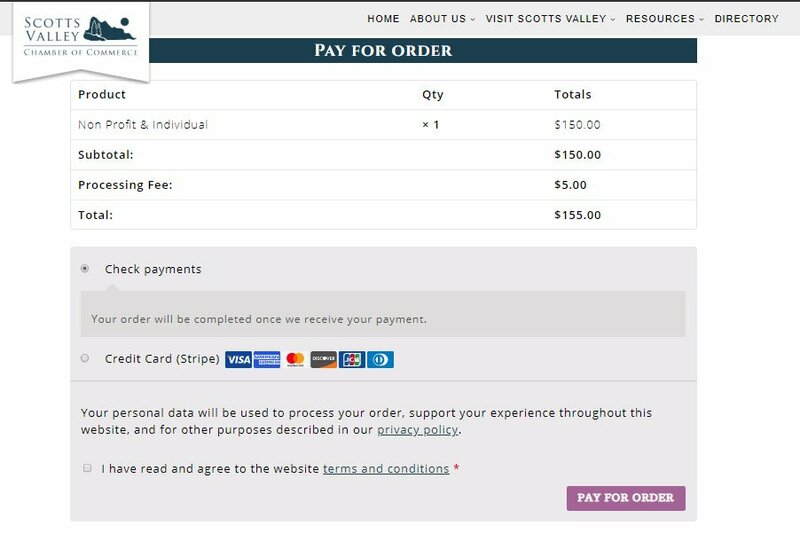 If you select “check payments,” your order will be placed on hold until we receive your payment.